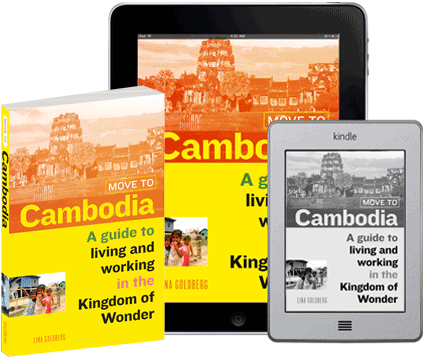 There are lots of ways to get from Cambodia to Thailand, and it all depends on how much time, money, and patience you have. In this post, I’ll cover the best ways to get from Siem Reap to Bangkok whether you travel by plane, direct bus, mini-bus, taxi, or casino bus. Flying is always the most convenient, but going overland is less expensive and more of an adventure! 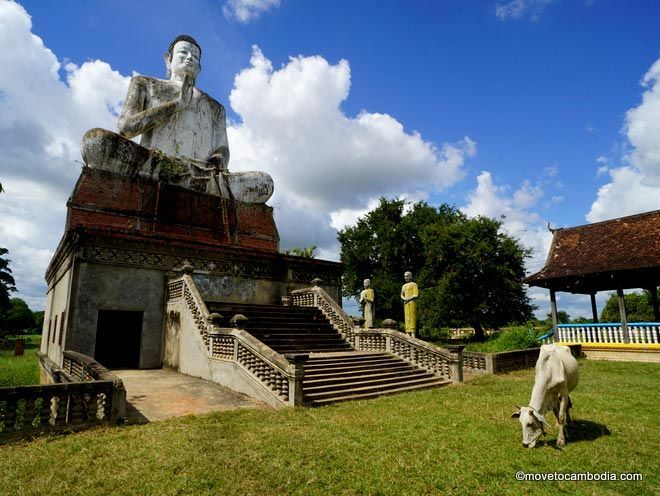 If you’re heading the other direction, how to get from Bangkok to Siem Reap. Crossing the border: What you need to know. The easiest way to get from Siem Reap to Bangkok is by direct bus, although it’s not the fastest. Direct means that you don’t have to change buses at the border or haul your luggage over the border — it stays on the bus while you get your visas. While many buses advertise themselves as direct buses, there are only two companies that are true direct buses: Nattakan and Giant Ibis. Nattakan/Transport Co. Ltd direct buses that go from Siem Reap to Bangkok. You can purchase tickets Read our full review with photos of the Nattakan direct bus. Giant Ibis, a company with great reputation in Cambodia, are now running buses between Bangkok and Siem Reap. The buses are new, the drivers are good, and the attendants are friendly and help you through the visa process at the border. Although the tickets are more expensive at $35, it seems worth the price, and there are no booking fees. The Giant Ibis Siem Reap Bangkok direct bus leaves from 7:45 a.m. Tickets Read our full review with photos of the Giant Ibis Bangkok bus. Taxi is the most expensive overland option, and doesn’t save much hassle over going by bus, as you still have to use two taxis and walk through the border on foot because cars aren’t allowed through the border. You can book a taxi at any guesthouse or local travel agent in Siem Reap, but you may get a cheaper rate by asking a tuk tuk driver to get one of his friends to do it. Prices from Siem Reap to Poipet are around $30 and take two hours. Once you’ve crossed the border, there are taxis waiting that will take you anywhere in Bangkok for 1900 baht ($60). 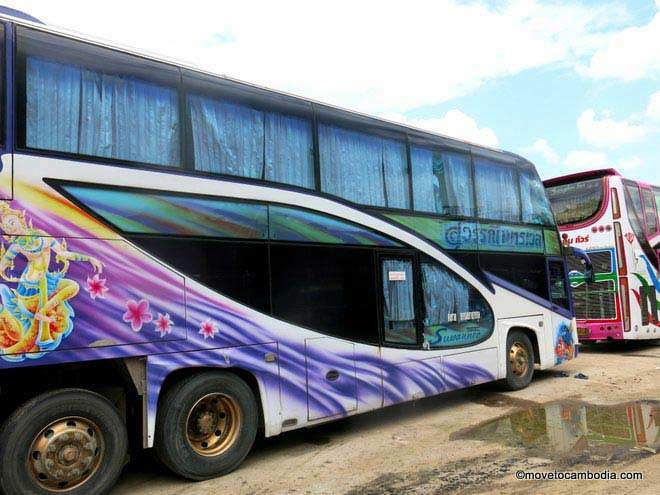 The trip takes from Aranyaprathet to Bangkok takes three or four hours, and you may need to haggle about the price. As per usual, taxis in Cambodia (and Thailand) are usually Toyota Camrys that can comfortably seat three passengers and can uncomfortably seat four. They usually have a tank in their trunk and cannot fit a lot of baggage. The mini-buses from Siem Reap to Bangkok are cheap and cheerful. 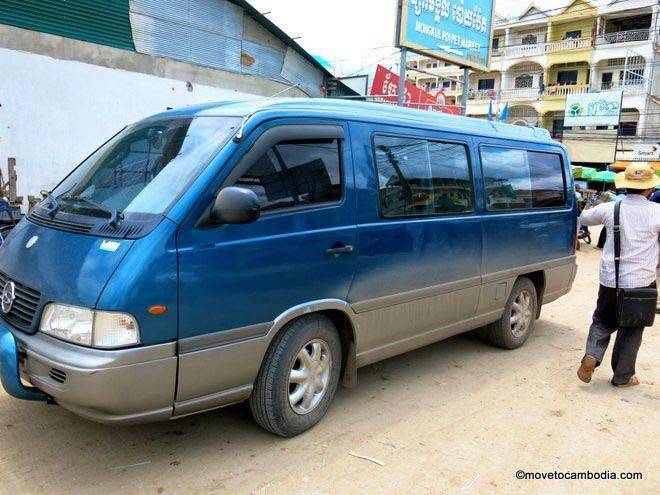 There are mini-bus services that go “direct,” meaning the same company will drop you off on the Cambodia side of the border and then meet you on the Thailand side of the border. You still need to haul your luggage through the border on foot, and often end up waiting for others on your bus who takes hours to go through immigration. These services offer you no direction or hand-holding in getting through the border, so there’s really no reason to take them through. It’s better to buy a ticket from Siem Reap only to Poipet and then either take another mini-bus or a casino bus from Aranyaprathet to Bangkok. From Siem Reap, there are mini-buses that leave for Poipet every morning. I can’t recommend any specific company because they are all disappointing in their own way. But at $5 a ticket, it’s hard to complain because they do manage to get you from A to B without much hassle. Book a night in advance. You can book tickets to Poipet at any local travel agent but be sure to haggle, as they’ll often try to charge $10 for a $5 ticket. The trip takes about 2.5 hours. 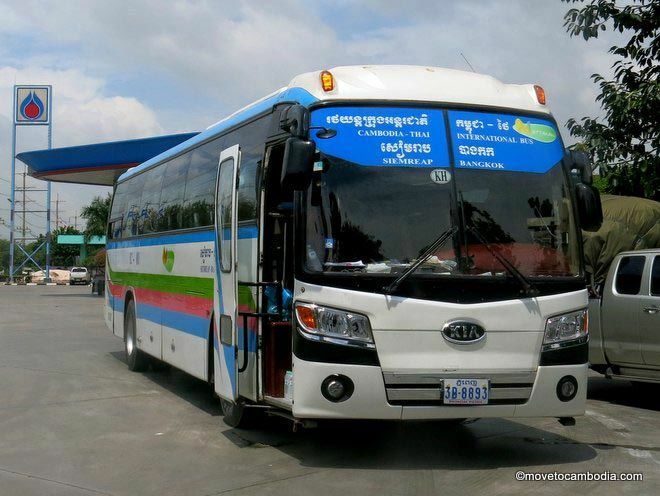 Once you are through the border in Aranyaprathet, you can grab another minibus that goes to Mo Chit 2, (also sometimes called Northern terminal) in Bangkok for 230 baht ($7.20). You’ll need to wait for enough passengers to show up and fill the bus, but it doesn’t usually take long…unless it does. The trip from Aranyaprathet to Bangkok takes between four and six hours, depending on what time you leave. You’ll know the casino buses by the stunning artwork that graces the exterior. Another option is the mini-bus and casino bus combo. It’s sort of a pain, but it involves hopping a $5 mini-bus in Siem Reap to the Poipet/Aranyaprathet border, walking through, then heading to the car park next to the 7-11 and catch a casino bus. You’ll recognize the casino buses because they are massive and brightly painted with kooky designs. The casino buses are meant for Thai gamblers who leave at 5:30 a.m. to come to Poipet to gamble all day, then head back to Bangkok in the afternoon. They are VIP luxury buses and are very comfortable. They go from Rong Kleu Market in Aranyaprathet to Mo Chit, Lumphini Park, and Bang Na in Bangkok and cost 200 thb ($6.25). The trip takes five to six hours (they usually get stuck in traffic) but stop halfway at a nice little rest stop with a couple of dozen street food vendors and all of the gamblers make a mad dash for bowls of soup and then pile back onto the bus and eat it. This method provides the best cultural experience. Unfortunately I can’t tell you what time the buses leave or stop running because I don’t speak Thai, but they seem to be around noon to 4 p.m. from Aranyaprathet. To catch the casino bus, after you get stamped out of Cambodia and into Thailand, head straight and then turn right for Rong Kleu Market. Turn right at 7-11 and the buses are parked in the parking lot there. We’ve got a map that shows where the casino buses are parked on our crossing the Poipet border post. If you heading the other direction, you can catch the casino buses at Lumphini Park. They start around 5 a.m. and leave regularly (every 2o-30 minutes) until around 9 a.m. In response to several queries, yes, the casino buses are safe for solo female travelers and I have done the trip on my own several times. In fact, the bus is mostly full of solo female gambers, ie elderly Thai women. Cambodia Angkor Air: Cambodia’s national flag carrier. Bangkok Airways offer one-way flights at less than $100. They offer a 20kg baggage allowance, but if you sign up with their frequent flyer club they will automatically give you an extra 10kg. Another nice perk is that there’s an airline lounge for all passengers, not just those in business class. Malaysia-based LCC Air Asia has daily flights between Siem Reap and Bangkok that are usually the cheapest option available. You can find one-way flights on this route for as little as $70 if you book in advance. Flights arrive at Bangkok’s DMK airport and you’ll pay extra for baggage. 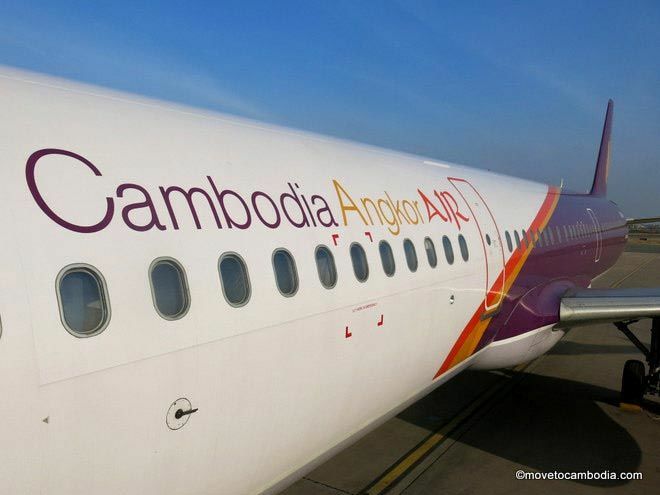 Local airline Cambodia Angkor Air also flies the Siem Reap to Bangkok route and generally offer the lowest prices for flights that are booked on short notice. Tickets include 20 kgs of luggage and they fly into the main Suvarnabhumi Airport. One-way flight start at $80 but they are less reliable than the other airlines, in that flights are often cancelled and rescheduled. Read our full review of Cambodia Angkor Air. Thai Smile, a low-cost carrier owned by Thai Airways, offers cheap flights that, unlike other LCCs, fly into the main Suvarnabhumi Airport and include 20kg of luggage. Ticket prices start at $70 and are less expensive if you book them directly from the Thai Smile website. We’ve got another post that go over all of the flights from Siem Reap to Bangkok in more detail. The Aranyaprathat/Poipet border is known for scams, delays, and confusion. I’ve got a whole blog post with what you need to know about crossing the Poipet/Aranyaprathet border, but here are some important things to know. You do not need to change money into Thai baht. This is a scam and you will be given an outrageously bad exchange rate. You do not need to pay any border crossing fees or get a Thai visa before you get to the border office. Do not accept help from anyone who says they can help you get a visa or cross a border. Know that Thai officials have been cracking down on those who appear to living illegally in Thailand. They only allow two land border entries per year, and there is a requirement for each person to be carrying 10,000 Thai baht, or the equivalent in another currency, per person. This is rarely enforced unless the border officials have some misgivings about you, but if you have multiple Thai visas, it’s best to show be able to show that you have cash on hand, a hotel reservation, and plans to leave. If you’re going the other way, check out my post on how to get from Bangkok to Siem Reap. This entry was posted in Transportation, Siem Reap and tagged Giant Ibis, Cambodia Angkor Air, Nattakan Transport, Transport Co. Ltd, Bangkok to Siem Reap, Siem Reap to Bangkok, Air Asia, Bangkok Airways, casino bus. Bookmark the permalink. Has anyone walked through Poipet late at night towards Seam Reap? Or vv? Is there another land bus or train route to avoid the via Poipet to Pattaya?